Nicholas and Gypsy were the last elephants to leave the notorious Hawthorn Corporation, which formerly trained and leased elephants for circuses. The U.S. Department of Agriculture and Hawthorn negotiated a consent agreement that permitted the transfer of the two elephants to PAWS. This is a very special anniversary indeed. 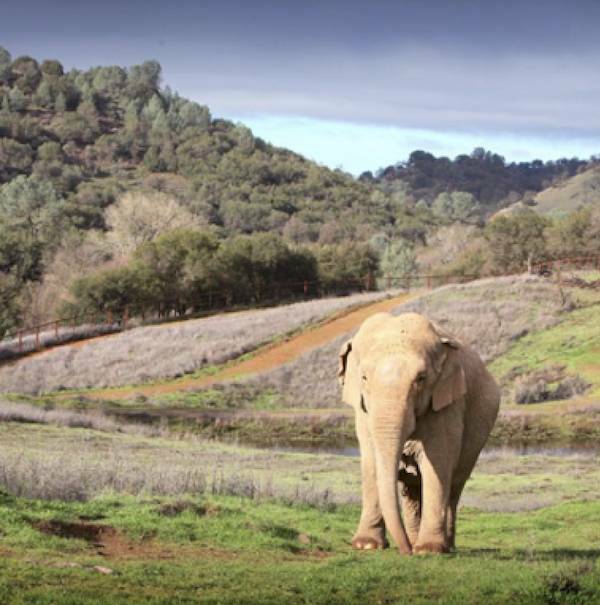 It was 10 years ago this month that Asian elephants Nicholas and Gypsy arrived at PAWS. Theirs is a special story. Nicholas, who was born at Hawthorn, was separated from his mother before he was two years old - a time when calves are still nursing and entirely dependent on their mothers. He was trained with a bullhook and forced to ride a tricycle and perform in the circus. But by the time he was five years old Nicholas had become too difficult to manage. When he could no longer be used in the circus he was "warehoused" instead of being sent out on the road. Gypsy, an older, unrelated female elephant had been made to perform in the circus for years. At one point she was housed with the young Nicholas as a surrogate mother; the two shared a tiny barn stall until they were transferred to PAWS' Galt facility in 2007 and later to the ARK 2000 sanctuary. The two elephants were closely bonded and their devotion to one another was incredibly touching. They shared food, rumbled, chirped and remained close to each other at all times. But as Nicholas matured, things naturally changed and the two elephants were given separate, spacious living areas. 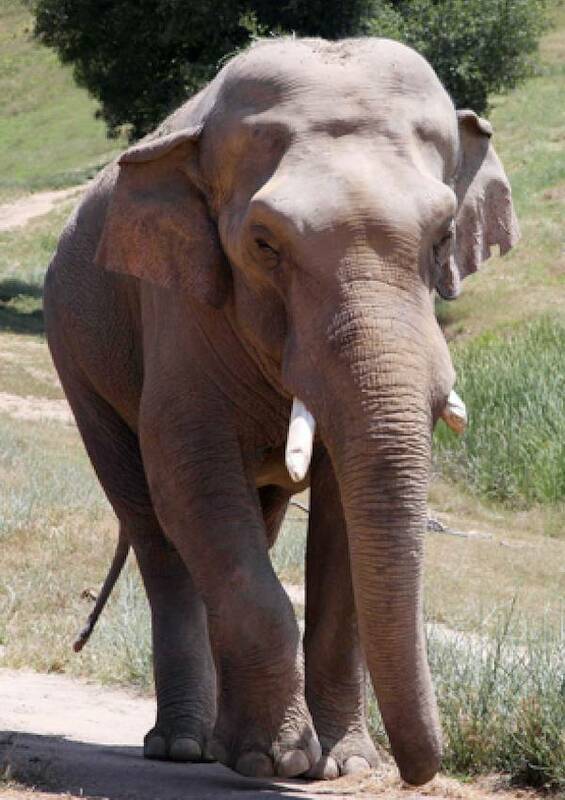 Gypsy was reunited with another Asian elephant, Wanda, who she had known 20 years earlier in the circus. The two old friends immediately bonded and remained inseparable until Wanda's death in 2015. Nicholas and Gypsy continue to enjoy the peace and quiet of ARK 2000, where they navigate expansive habitats and are currently forging on the season's lush spring grasses. Go to our website and please make a donation in honor of Nicholas and Gypsy's 10-year anniversary at PAWS. Or you can adopt one (or both!) for a year. Your generous gift helps support these very special elephants and all the wild animals at PAWS who have been rescued or retired from circuses, zoos and the exotic "pet" trade.